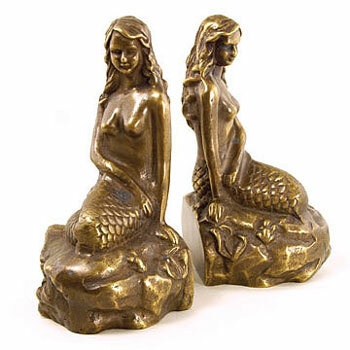 Let the hint of a cool ocean breeze fill your home with these beautiful brass mermaid bookends. Each measures 8 in. H. This is a great quality item, a sure conversation piece and a thoughtful gift! Please allow up to 2-3 days to ship. Set of two Nautical Mermaid Bookends.